Silly Blues Oops, HTML5 audio element. Get this CD or music from it, go to CD Baby or contact Phil. Zzyzx Oops, HTML5 audio element. Get this CD or music from it contact Phil. "Swinging, loungy Mad-Men era big band jazz with Vegas-style punch; silky vocals, high-flying instrumentals, and toungue-in-cheek humor." Thanks Tim. Tim Gill Bon Appetite Oops, HTML5 audio element. For more great Tim Gill music, go to his soundcloud page. Andre Caporaso Night in a Strange Land Oops, HTML5 audio element. 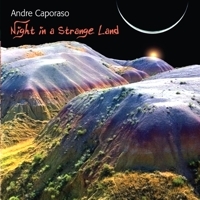 Emmy award winning Andre Caporaso's wonderful musical adventure (read jazzREVIEW). Nutty jetsetter jazz! Oops, HTML5 audio element. Pour yourself a cocktail, light up the pipe, warm up the tubes and turn up some Nutty on the player. Try a purple cocktail!